Smartphones and tablets can be a great way to kill time and socialize, but who knew that they can also boost your productivity? As long as you know the right apps that can lend a hand, your life could become a lot easier. Here is our list of the best productivity apps, recently updated to include the useful Tiny Scanner, and the essential Dashlane. If your work requires a lot of document scanning, you should be armed with Tiny Scanner, which allows you to create PDFs from any documents using just your smartphone camera. Take a snap, crop it and select a PDF page size (like A4), then hit the tick button. It's that simple. Tiny Scanner will produce a black and white scan of a document that looks as good as if it came out of a scanner. It has a few neat tools, like automatically straightening your scans if they're a bit wonky, but you'll need a decent (ish) camera for best results. Colorful PDFs tend not to look as strong, but it's an effective replacement for a home scanner, and color is an option if you want it. While it used to offer pretty much everything for free, there's now a Pro version that you'll need to pay for if you want to do things like upload your scans straight to cloud storage services. Dashlane Password Manager is a service which saves all of your passwords and other sensitive credentials in one place. 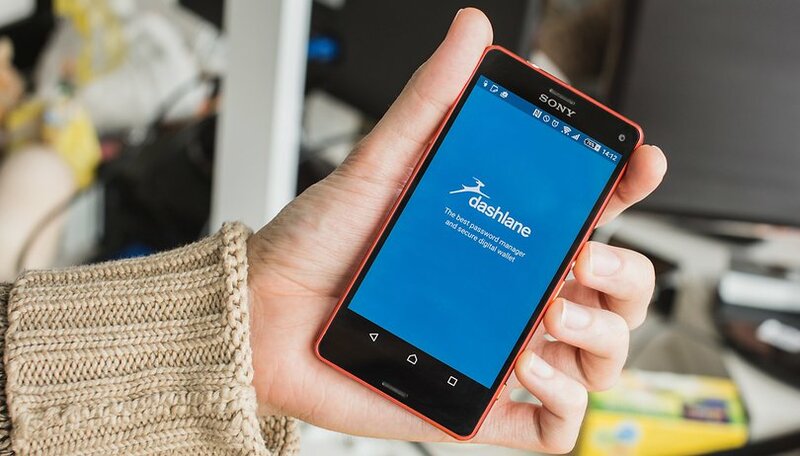 Many apps and services seek to do the same, but Dashlane gets our recommendation because it combines so many features so easily and effectively. It's also one of the bigger name password managers that hasn't been hacked in recent years. As well as remembering all your passwords, the app can log you in to websites and apps automatically, and generate strong passwords for you on the fly. You can also use it to store your payment and banking details to save needing to enter those each time too. It’s safely encrypted, it’s intuitive, and the basic service is free. If you want all your logins and data to sync between different devices, you'll need to pay for the upgrade. We'd also recommend using two-factor authentication on any password manager, for obvious reasons. If you've fully embraced the modern working ethos, that probably means there are a whole bunch of different services you use for both your work and personal life. And that means you've got a phone full of files and the rest scattered about in various Cloud storage services. This is where Unclouded comes in. By analyzing the storage on your phone and connected Cloud services, it can help you to find your files more quickly (there's a single search across all your connected services), keep them better organized and give you a quick overview of exactly what is taking up the most space across all your accounts. To connect unlimited accounts and access a few other premium features (a night mode and app protection options), you'll need to cough up a few dollars. Or, you can purchase just the features you need individually. Free accounts can connect one cloud service at a time. Pushbullet is an incredibly useful app if you spend most of your day sat at a computer and frequently find yourself switching between different devices. It started out as a way to send individual files between those different devices - mobile and desktop, as well as mobile-mobile). Now, you can move files, respond to notifications, SMS and other messages directly from your desktop. It supports end-to-end encryption, and remote file browsing across connected devices, providing you enable that feature. Pushbullet used to be one of my favorite apps in any category, just for its sheer handiness - but then the company started charging for some of its most useful features. Eventually, I gave in and paid the annual subscription but you can use it for free if you don't mind limited file sizes for sending and don't need to respond to notifications from the desktop. Plenty of apps have tried to tackle that perennial problem of helping you actually get things done, but Todoist hits a higher water mark than most. The app enables you to organize your tasks with colors and sub-folders, and it can sync your lists between multiple devices (though it also works if you go offline). It was previously named one of the best Google Play apps by Google itself, and it's easy to see why — the interface is clear and uncluttered, creating and editing tasks is very straightforward, and extra features such as being able to assign custom tags to keep everything organized really add to the app's overall impact on your productivity. Again, you'll need to pay for a subscription if you want to use the more advanced features, like tags, but basic lists and sync between devices is free to all. Trello is similar to Asana in that it allows you to keep on top of multiple projects and tasks without collapsing in a heap of information overload. If you need to be able to check in on several different projects at once from your smartphone or tablet then Trello is one of the best ways to go about it. The app is based around cards — each card can have members, labels, dates and other information attached to it, so it's simple to use despite being very powerful. Everything is synced to the cloud as well so you can access your Trello account from the web as well as your mobile devices. If you need a to-do list app, but find that simply having lists isn't enough to keep you organized and on track, DropTask could be worth a look, as it takes a more visual approach to your list of jobs. It's also accessible via the desktop too, which is handy. It's designed for team collaboration, so you can assign tasks and track progress across different tasks for different people within the app itself. And yep, you guessed it, all this organisation takes place through dragging and dropping the tasks. The free version of the app allows you to create up to five projects for free, with unlimited tasks and groups. If you want to remove this restriction and get access to other features (like assigning tasks to team members) then you'll need to pay for the service. OK, there are lots of different calendar apps you could try out on Android, but if you're looking for one that offers almost all the features you could want, plus integrates a simple to-do list and weather updates, you could do a lot worse than SolCalendar. Particularly since Sunrise was shuttered and stopped syncing last year. There's different view options (daily, weekly, monthly) for your calendars, but where SolCalendar is particularly strong is keeping you out of the app altogether, by providing useful home screen widgets. The one potential downside of SolCalendar is that it doesn't offer as many integrations as some of the others available. Many people swear by aCalendar too. If you haven't yet discovered IFTTT then you're in for a treat — it lets you combine various apps and services together to help you get more done. They used to be called 'recipes' but are now called 'applets' instead. So, for example, if you want to automatically send a map of your location to your Gmail account with a tap on an Android Wear device, sync Dropbox files to other services, switch on your lights or other internet-connected devices around the home or many, many more things, then IFTTT is a one-stop-shop of productivity. Triggers can be set based on your Android device's location or a specific date and time, and creating your own applets is simple too. Google's own productivity suite should be one of your first stops on the productivity train — note that Docs, Sheets and Slides are now available as standalone apps as well. In terms of the main Drive app, it lets you access and view files stored in the cloud and synced from your connected computers, and any that you particular rely on can be cached to access offline. The individual apps let you create documents, spreadsheets and presentations from your mobile device. Whether you need to apply some last-minute edits to that company report on the journey to the office, or you're busy working on your novel during lunchtime, these polished apps make it look easy. Of course, as many Android phones now offering these as pre-installed options you shouldn't need to look too far to find them. What's your favorite productivity app? How does it help you manage day-to-day life? Let us know in the comments below. For document scanning, I use Office Lens, which has a very useful feature: automatic paper edge detection. Saving documents can be done in various formats (JPG, PDF, OneNote, Word, PowerPoint) and can also be saved in cloud on OneDrive. It is easy to use because it has an intuitive interface. You can also use Google drive to scan documents. Although, stand alone scan apps has more features, Google drive just works for me. As far as password managers go, I'd rather stick with Lastpass. A note app like Evernote/Keep comes in real handy too. Very Much useful information and I found something similar that help you guys. There are so many productivity app and we have to choose best one. I expected a more insightful list from Androidpit. This article just rehashes the old favorites while perpetuating some controversies. First, what's it about Pushbullet? According to you, is it good or isn't it? I wonder how many of us will be willing to pay a monthly fee just for the ability to move files between different devices? There are other apps which do the job for free, though I admit that they lack the finesse and intuition of Pushbullet. Second, why do you keep repeating the benefits of IFTTT while completely ignoring Tasker, which is a close competitor? Third, I don't know what Google Drive is doing on this list. Is it really a productivity app? Hardly can be described as one. It's just the online repository while you work with Word or PowerPoint on the cloud. Beyond that, just another file storage site (no basic difference from Kim Dotcom's megaupload.com). Nope, I refuse to accept that Google Drive is a productivity app. And yes. Don't you think a file explorer app should've been on this list? And the comments are very useful too! Nice list. I've moved on to using google drive more, started using todoist, and replaced Evernote with Google keep and MS OneNote. Always started using IFTTT. Has it made me more productive? Somewhat. At least now I'm not forgetting what needs to be done, but it still doesn't mean that it gets done on time, but I'm improving. I'd note that users of Google Drive have a built in camera scanner / upload that's just as good as most free apps with no ads. Unlike some of the huge clunky to-do list sync apps, I like a little freebie [UPDATE - 170329] called Simplenote that does the basics in a small fast open source package, including editing from its PC browser interface. The quick online sync / storage and cross-platform functionality make it better for me than "notepad". I'm currently using Google Drive, Evernote, and sunrise which each have their merits. While I'm not an expert at using drive and Evernote I do find the functionality useful. My work focuses on using the MS OFFICE suite, which drive accommodates although not 100% as far as the features. I'll have to check out some of the others to see what they have to offer.